MANUFACTURING OF CEMENT BUILDING BRICKS & PAVING BRICKS, and the PRODUCTION OF CEMENT, SAND & STONE. DK Bricks supply clients in greater Kimberley area and the Northern Cape. The manufacturing & production of bricks, sand, stone & cement. 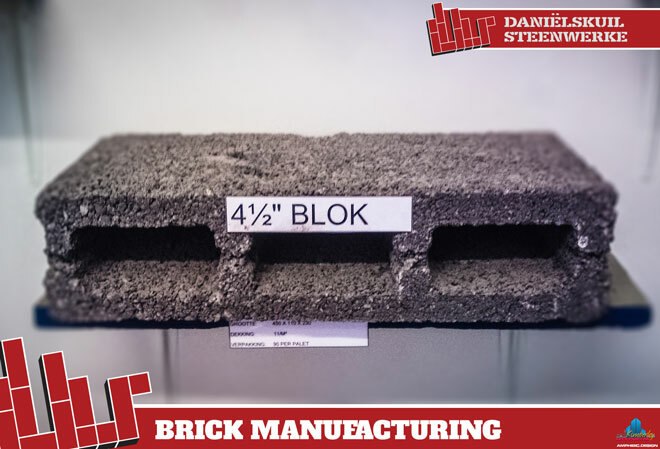 Manufacturing & production of building bricks, paving bricks, sand, stone & cement. De Beers Finsch Mine, King & Parsons in Kathu, Kalagadi Mine near Hotazel. 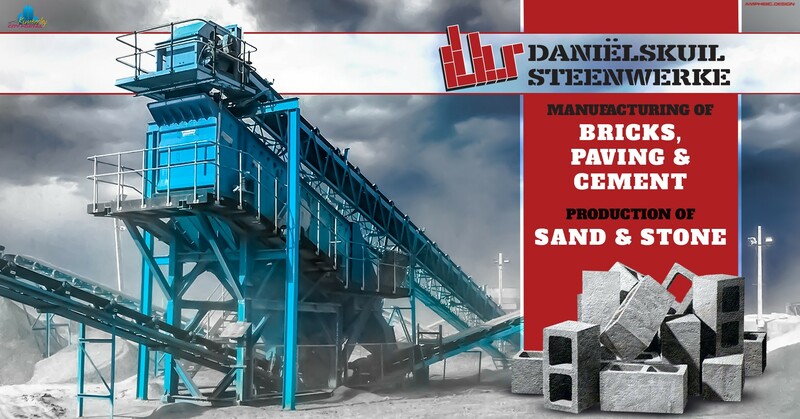 Manufacturing & production of bricks, sand, stone & cement. 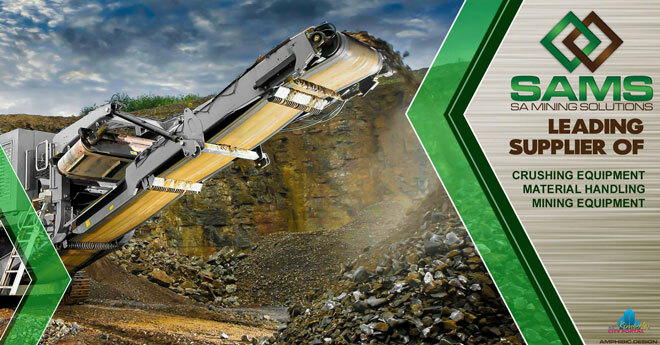 Starting as a small entity with about 10 personnel, with a crushing capacity of about 20 tons a hour, the company rapidly grew as the quality of our products became known to especially the surrounding mines. 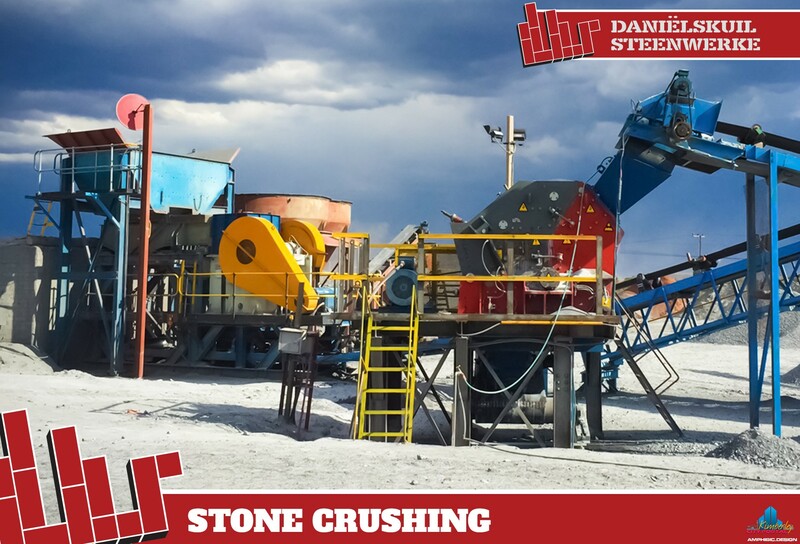 Clients include De Beers at Finsch Mine, King and Parsons in Kathu and Kalagadi Mine near Hotazel. Manufacturers of bricks, paving, sand, stone & cement. Initially the first roof tile company in the Northern Cape, but following market demand to regional development, recently changed to the manufacturing of bricks, and established a crushing plant, Ulco Sand and Stone. Established suppliers for the greater Kimberley area. My DIY in Barkley West, Northern Cape specializes in wholesale and retail of hardware and building materials.